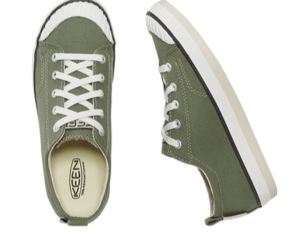 The Keen Elsa Sneakers for women is a casual canvas sneaker that is designed for the sole purpose of flexibility and comfort. Made cruelty-free, the vegan style sneakers are not only animal-friendly, but also does not compromise on quality - durable enough for wear in light rain, making it is the perfect sneaker for traveling. 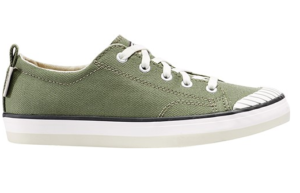 With various eye catching colors to choose from, the Keen Women's Elsa Sneakers goes great with all casual outfits whether it is jeans, shorts or skirts! 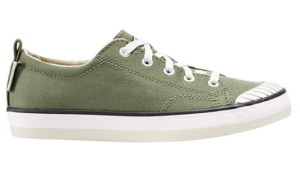 The Keen Elsa Sneakers is definitely a traveler’s best friend. Designed to be durable for standing in all day, the metatomical dual density PU footbed and vulcanized midsole provides the support and flexibility needed to feel light on the feet. Additionally, the removable insole makes for super easy cleaning. Featuring the Cleansport NXT, a patented product of The Stewart Group of Companies, the probiotic technology naturally controls odors in the Keen Elsa – so no need to worry for unexpected odors when taking off the sneakers! 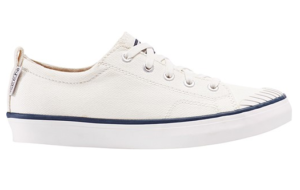 The sneakers are overall made for durability, with features such as the rubber outsole and aluminum eyelets, not much can damage the Keen Elsa. Caring for the sneakers are dangerously simple. A simple soft damp sponge to gently brush off the loose dirt, or a gentle cleaner to get rid of stains will do the trick. At a mere 283.5g, the user won’t even realize they’re wearing these ultra light sneakers. The sneakers are known to be true to size with a slightly narrow width. 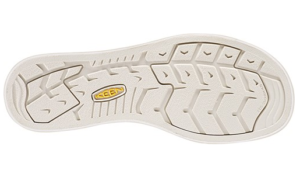 The insole is designed to ergonomically provide substantial arch support that cradles and cushions the feet, which provides additional comfort for long distance walking. The heel pull loops on the sneakers make pulling the sneakers when in a hurry a greatly needed convenience and time saver. 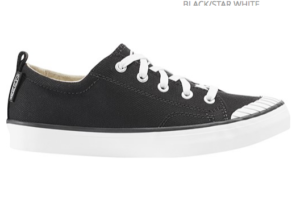 Additionally, the traditional lace-up design helps secure the fit of the sneakers for all users. 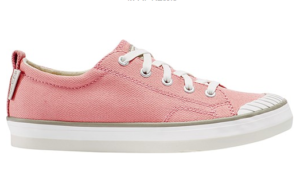 The sneakers are made of breathable quality canvas and textile lining. With rubber tips at the front to prevent scuffing, don’t be afraid to be bold when exploring in these sneakers. The materials are designed to be durable enough for most weather conditions whilst keeping the feet cool. 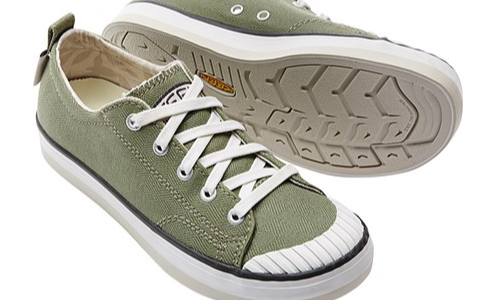 The vulcanized midsole on the Keen Elsa Sneakers allow for easy flexibility with every single step the user takes.